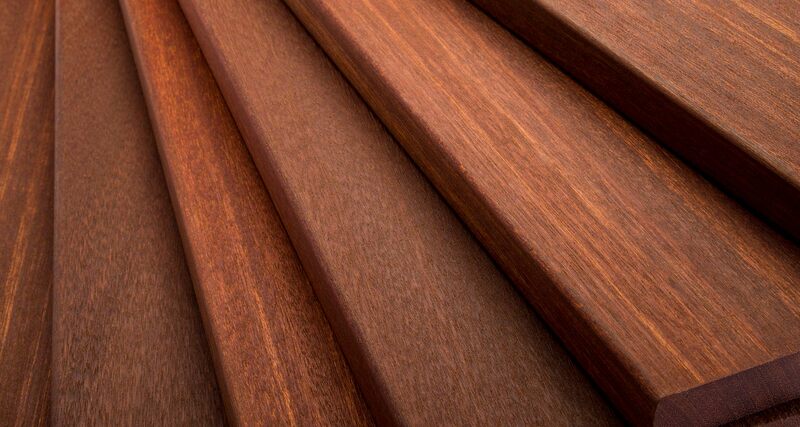 For best results, ExoDek Premium Batu Decking should be protected from direct sunlight and weather before installation by covering the material and keeping it off of the ground. Stainless steel screws are required to properly fasten hardwood decking – through the face, two screws per joist. The only hidden fastener accepted for use is the Starborn ProPlug system. When screwing through the face, a countersink bit with a positive stop should be used to set all screw heads at the same consistent depth. Do not use hidden fasteners which fasten from the underside or edges of the boards. Build your deck so that the surface is at least 16” above the ground when using 1×4 or 5/4×4 decking material. When using 1×6 or 5/4×6, the deck must be constructed a minimum of 36” off the ground. There must be adequate air circulation underneath the deck in order to prevent cupping and warping of boards. Sanding is recommended. When cutting or trimming boards, standard miter or table saws with carbide tipped blades are appropriate to use. We require that the boards are end-sealed after cutting with a clear, water resistant wax such as Anchorseal from UC Coatings. If end sealer is not used, the manufacturer will not honor any claims under the warranty. To further protect ExoDek Premium Batu Decking, we require boards to be coated and weatherized on all four sides with an oil-based product prior to installation. For more detailed installation information, please visit www.novausawood.com/downloads.aspx. Spacing: Be sure you know whether you have a kiln dried or air dried product. For Kiln Dried decking set spacing between boards at 3/16” for 4” and 1/4” for 6” decking. 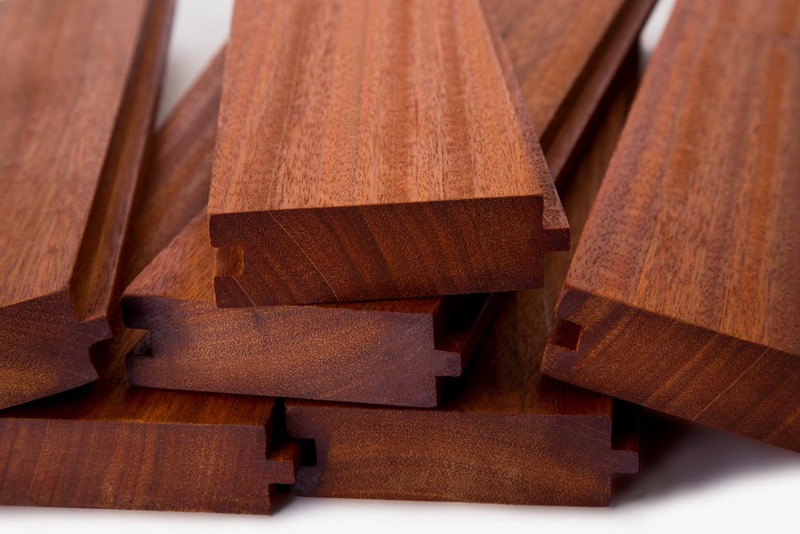 For Air Dried decking, acclimate on the job site until the material is around 18% moisture content, and then set spacing between boards at 3/32” for 4” and 1/8” for 6” decking. This space between boards will allow for air circulation, room for expansion, and provide for the proper spacing as boards become fully seasoned. The maximum movement, shrinkage or swelling, is typically 3/16” on 4” decking and 1/4” on 6” decking. Span: You must consult local building codes to be sure you are following local regulations. Generally, 1×4 and 1×6 decking can be installed with joists on 16” centers. 5/4×4 and 5/4×6 decking can be installed with joists on 24” centers. When installing on an angle, joist spacing should be on 12” centers. Final joist spacing should only be determined after consulting local building codes. Ground-side Ventilation: Build your deck so that the surface is at least 16” above the ground when using 1×4 or 5/4×4 decking material. When using 1×6 or 5/4×6, the deck must be constructed a minimum of 36” off the ground. There must be adequate air circulation underneath the deck in order to prevent cupping and warping of boards. In wet areas or over water, additional clearance is recommended. In close to ground applications, 60” or less above ground, a vapor barrier is necessary to prevent moisture from absorbing into the underside of the decking boards. Fasteners: Several different options are available for fasteners and for fastening techniques. We recommend stainless steel screws through the face of every board, two screws per joist. Self-tapping stainless steel screws are available but may require pre-drilling. Pre-drilling is always required on the ends of the boards. We do not recommend the use of non-stainless fasteners since they will cause discoloration near the fastener. Do not use carbon-steel screws. Hidden Fasteners: Do not use deck clips, hidden fasteners, or any other mechanical fastening systems, including those which fasten from the underside or edges of the boards. Despite manufacturers’ claims, we have determined that these products do not provide adequate anchoring of hardwood deck boards to the substructure. The only hidden fastener accepted for use is the Starborn ProPlug system, as it still achieves face screwing for maximum hold-down and the use of stainless steel screws. Any other hidden fastener system will void the manufacturer’s warranty. 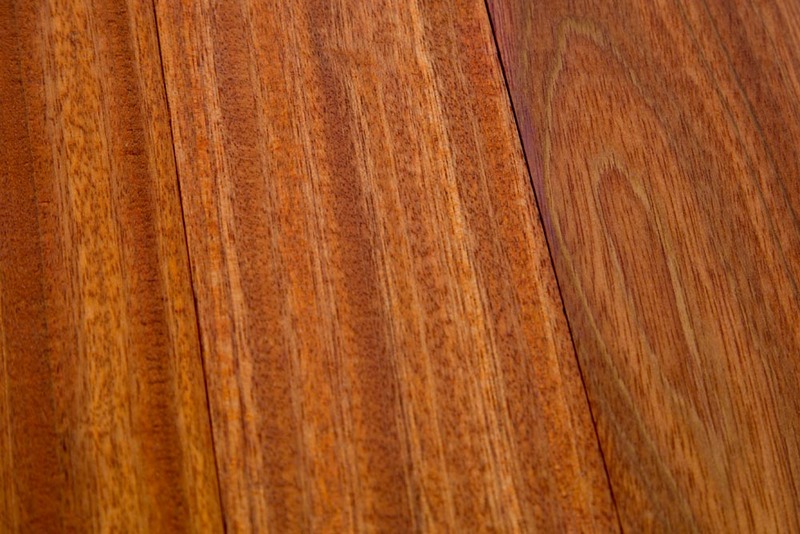 End Sealer: ExoDek Premium Batu Hardwood Decking is always end-sealed during manufacturing to help prevent splitting and checking on the ends of boards. We require that the boards are end-sealed as soon as reasonably possible after cutting during installation. A clear, water-resistant wax should be used. One such product is Anchorseal from UC Coatings, although several other products are available. If the material is not end sealed the manufacturer will not honor any claims under the warranty. 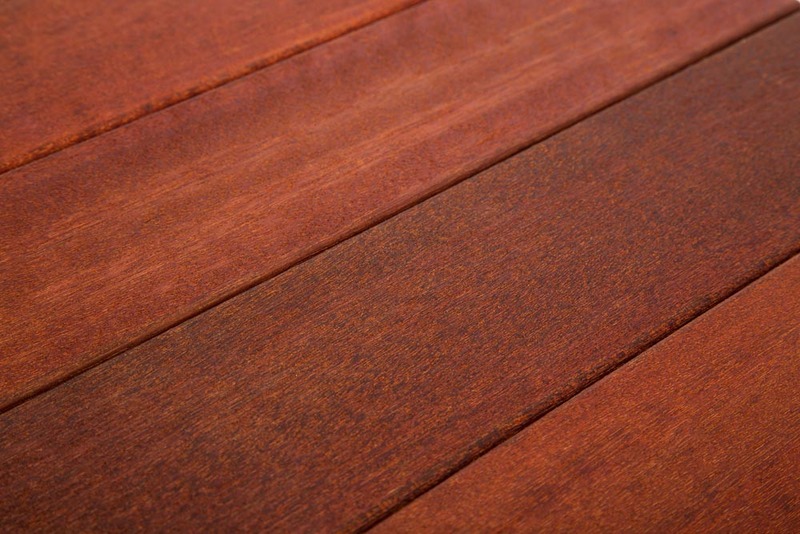 In order to help prevent surface checking, cupping and discoloration, we require that ExoDek Premium Batu Hardwood Decking be coated on all four sides with an appropriate and sufficiently-pigmented oil-based product, prior to installation. Especially in dry, sunny conditions, coating must be done prior to exposure to weather. The coating of ExoDek Batu Premium Hardwood Decking on the underside of your deck will reduce potential cupping by inhibiting moisture from absorbing into the wood. To maintain the natural color, a high quality penetrating oil finish with UV inhibitors should be used. If a natural silver color is desired, finishing can be done with a nano-technology water seal product such as Seal Once from UC Coatings. For best results, apply the treatment according to the manufacturer’s directions. ExoDek Premium Batu Hardwood Decking can also be pressure washed, but you must be careful not to damage the surface wood fibers by setting the pressure too high. Pressure washing may be necessary between oil treatments in order to remove surface discoloration. It is recommended that all T&G exterior applications be in a covered environment and be installed with a pitch to allow for proper drainage. Please refer to your local building codes on pitch requirements. Material should be finished on all six sides before application to prevent moisture from collecting on the underside of the deck. T&G products do not allow spacing for ventilation, which is why only covered installations and adequate ventilation underneath the deck are required. Fastening should be done with stainless steel fasteners. For best results, ExoDek Premium Batu Hardwood Decking should be kept out of direct sunlight and not exposed to weather before installation. Be sure you know whether you have a kiln dried or air dried product. Air dried decking must be allowed to acclimate to approximately 18% moisture content on the job site prior to installation. 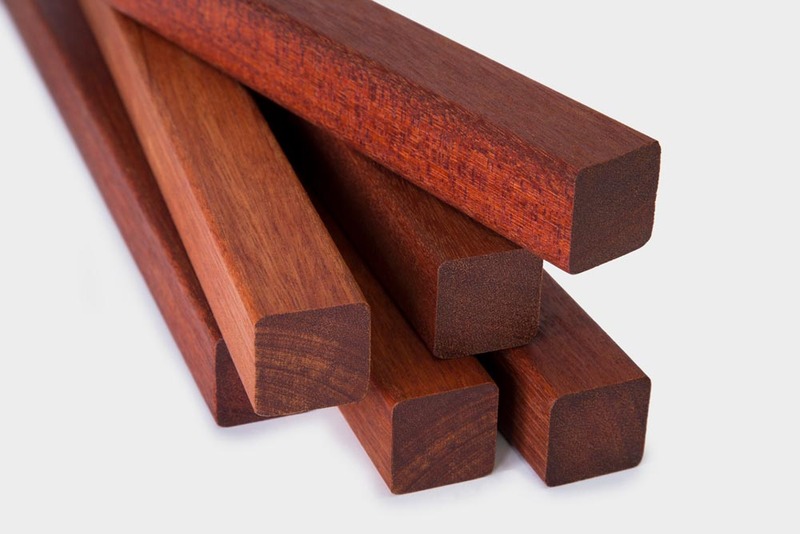 To determine moisture content, be sure to use a moisture meter that is calibrated for the correct species of wood. Kiln dried decking can be installed after a few weeks of acclimation. Once a decking package is delivered to the job site, keep the material off the ground by placing a few pieces of lumber underneath the decking package. Cover the material with a tarp to protect from sun damage and rain. ExoDek Batu Premium Hardwood Decking can be easily crosscut with a good quality chop saw using a carbide-tipped blade. Ripping can be done on a standard table saw, using a well-aligned high quality fence and a carbide-tipped blade. When drilling, always use the highest quality drill bits available. If screwing through the face, a countersink bit with a positive stop, such as the Starborn Smart-Bit, should be used so all screw heads end up at a consistent depth. Fasteners should be pre-lubricated for easiest assembly. Routing or planing can be done with both high speed steel or carbide cutters. Feed speed should be fairly slow. When routing be sure that the cutter head is spinning with the cutting face into the material. Sanding may be necessary before a final coat of finish is applied. Safety glasses and a dust mask should always be worn when working with hardwood lumber. We recommend an active carbon filter dust mask. 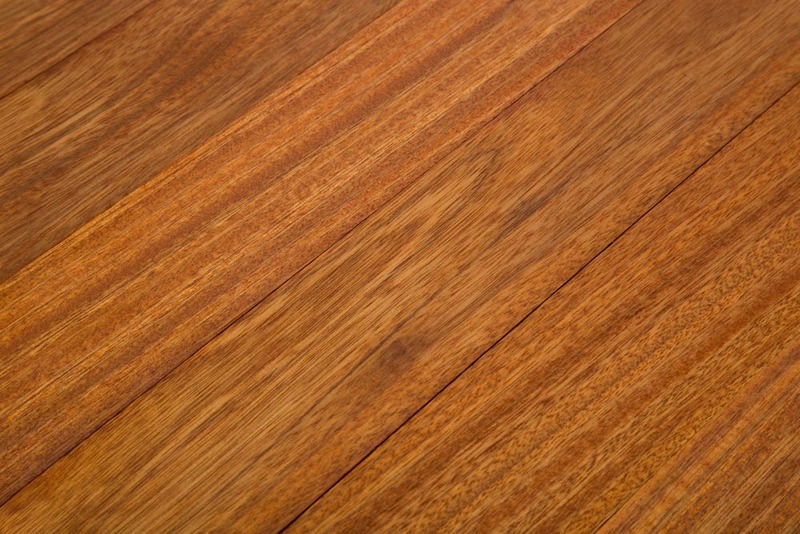 Some people may have an allergic reaction to hardwood dust. Remove wood slivers immediately to prevent infection. Drilling Sawing, sanding or machining wood products generates wood dust, a substance known to the State of California to cause cancer. Avoid inhaling wood dust or use a dust mask or other safeguards for personal protection. Our decking products are carefully manufactured and inspected to ensure quality. However, these are natural wood products and are subject to variations in weight, density, color, grain and performance. Wood decking is naturally subject to dimensional changes as the moisture content in the wood fluctuates with humidity in the air. Swelling, shrinkage, checking, and other movement of individual pieces are normal occurrences in wood decking. Local building codes must be consulted when building an exterior deck. Most counties require building permits.